Here at Tablet PC Comparison, we’ve spent years comparing the technical specifications of different tablet PCs and our guide about how to choose a tablet to buy is one of the most heavily edited article on the site (as we strive to keep it up to date). But we never wrote an article about WHY you should buy a tablet. Obviously, we’re all tablet die-hards, but if you’re undecided about whether a tablet is worth the money, maybe you’ll find a reason to buy in this list. This is one of the killer features of a tablet, but make sure you get the right software. You’ll be able to read newspapers, comics, magazines, and even download the articles to read later – whether you’re in a wifi zone or not. This is where a tablet with a crisp, vibrant screen really starts to be worth the money. Have you heard about people playing Xbox games through their tablet? Well, it’s possible! What about people who’ve got their whole home entertainment center setup via their tablets? Believe it – my friend has an amazing home cinema setup based on a tablet and a Raspberry Pi. Of course, most people just use their tablets to stream Netflix, and most tablets you can buy these days will do that job very well indeed. So this depends which model you buy, and realistically you’ll need a top-end beast like the Microsoft Surface Pro 4. It’s very possible to buy that and sell your desktop – it can do everything your PC or laptop can do. You might want to keep a large screen at home for those times you’re dealing with large spreadsheets. Or you could just carry the screen around with you, like this guy. Tablets are not only great for artists, but also for musicians, and writers. You’d be surprised how many of your favourite creators do a lot of their work on a tablet – from top comic book artists to leading podcasters like Roman Mars. 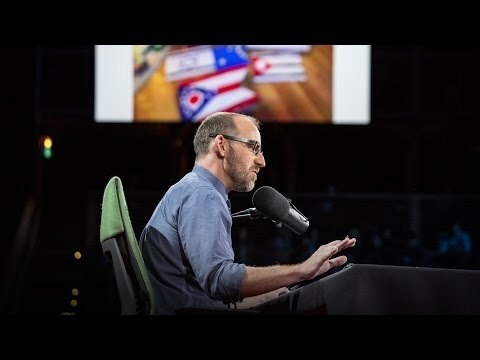 Watch his TED talk and see how his tablet is the centerpiece of his whole show. While tablets are often sold as productivity tools, realistically they are used more often to browse Facebook, send Whatsapp messages, and laugh at memes. My girlfriend uses hers almost exclusively to play Solitaire. So far, most tablets have been bad at multi-tasking. It’s possible that some people will actually get more work done on a tablet than on any other device. On my PC I’m one ‘new tab’ away from endless, mindless web surfing, and that Civilization icon on my desktop BEGS me to click on it. Since my tablet can only do one thing at a time, I’m actually more likely to do the thing I want to get done. Some people use tablets for very specific purposes, like in hospitals. But for most, it’s something to dip into every now and then – to check an email one minute, watch a cat video the next, and then to give the kids something to do for twenty minutes while you secretly wrap the Christmas presents. Type in your speech, or add it as a file. The text will start to scroll – all you have to do is read it out! Public speaking nerves a thing of the past? Maybe not, but having your speech there in front of you is one less thing to worry about. You’ll need to mess about with some cables, software, and settings, but you can use your tablet as a second PC screen. I have two full-sized monitors on my desk but if one of them broke the first thing I’d do would be to hook up a tablet. Having two screens starts out as a cool bit of luxury, but soon becomes completely necessary. You can have two spreadsheets open, one on each screen, and compare the info or transfer data across. Or check some emails on one while watching Breaking Bad on the other. A Google search will help you with the details. Also useful for noting down those ideas you have in the middle of the night! Become a Youtube star! Film your child’s birthday party! And edit it all with ease. It’s really easy to build websites; there are apps that will guide you through the process. And even something like Squarespace – which already is tough for desktop PCs to run – you can do some management from a tablet. In a pinch, you’d be able to add a blog post. Not that it’s easy, mind you. You’ll have to go down a rabbit hole of Google searches… let’s just say that it’s possible and you will want to stick to those website builders designed for tablet users. Try WordPress. Don’t end up with an office covered in post-it notes like me – write all your notes in one place and have them with you at all times. Take notes in class, make yourself to-do lists, highlight and annotate texts… Best of all, many note-taking apps sync across devices and help you become more productive than anyone in human history. Is there an app that lets you manage teams and communicate with them? You betcha! Try Slack. What about Microsoft Office – does that run on a tablet? Easy! If you’re in any doubt, grab a tablet that runs Windows 10. Thousands of business owners across America either partly run their business through a combination of apps, or in a few cases – completely. Have you been in a small shop recently and seen that the till has been replaced or upgraded with a tablet PC? It’s great for shopowners – tablets are so cheap now and there’s a lot of choice, innovation, and support in the payment area. I recently bought a giant LG TV from my friend (who was upgrading to an even huger one). It’s all great, except the remote control. It’s more like a Nintendo Wii than a proper remote control. Fortunately, I was able to install a few remote control apps on my tablet and control the TV from that. It’s not as good as a proper remote, but it’s better than waving the stupid LG remote around trying to land the cursor on the right button! Robots and drones can be controlled from a tablet. Just add the right app and off you go. There’s a fast-growing market in smart thermostats, heating systems, blinds, alarms, and so on. These devices can be set to adapt to the conditions, or you can do it yourself via your smartphone or tablet. You’re on the way home from work and it’s freezing? Log in to your thermostat app, bump up the temperature a couple of degrees. What if you’re on the beach in Florida and want to know if your home is safe? Grab your tablet, check your webcams, turn the lights on so it looks like someone’s home. Not exactly complete peace of mind – but a step in that direction. Navigation apps, voice control, the best music selection (your own) – your tablet is very probably better than the one in your car. 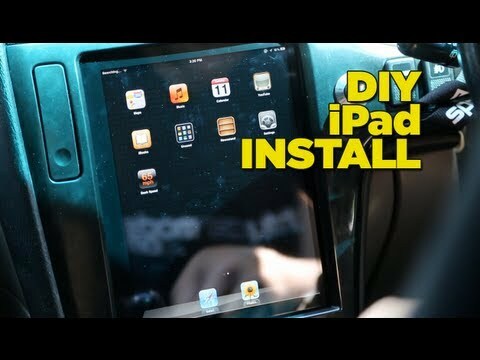 Youtube is full of people who’ve set up their tablet in their car. Go check them out! Apps to help you sleep, apps to help you lose weight, apps to help you exercise. The only thing it can’t do is measure your weight – do not stand on your tablet! Not something for everyone, but the Performa app allows a tablet owner to manage a sports team, getting detailed player performance stats and data. The infamous ‘Desert Bus’ (now available on tablet!) is one of the most realistic driving games ever made. 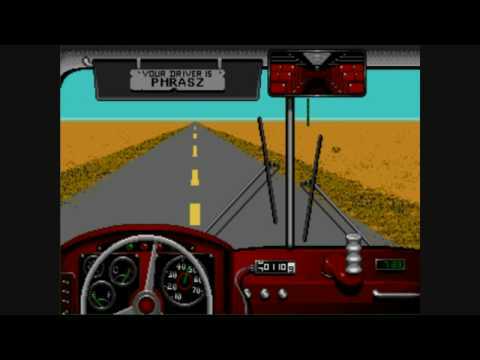 You control a bus traveling through the desert. There are no other cars and nothing interesting happens. The only quirk of gameplay is that the bus keeps veering to the right, and you have to keep it on the road. There’s no pause, so any momentary loss of concentration will leave you off the road and it’s game over. Start with Monument Valley, which is amazing. Tablets are great and getting better all the time, but make sure you have a reason for buying one before splashing out the cash, otherwise you just bought a quite expensive paperweight!